Serkan Yaþar Güney is an elementery school teacher in Bilkent University Preparatory School, an international school in Ankara, Turkey. He teaches 4th and 5th graders in social studies and science. He heard about the Storyline method 3 years ago and shortly afterwards decided to experiment with it. He is presently completing his master’s degree at Hacettepe University and hopes to finish by July. As part of his research thesis for this he has designed and implemented a social studies Storyline called “Our Beautiful Country, Turkey”. The teaching of the topic was begun on 17th February and a photographic record has been made. In this study the researcher aims to introduce the Storyline Method, which is not very well known in Turkey, and to evaluate its effects in the application to Social Studies classes. This research is particularly valuable for its contribution of a newly developed method to Turkish Literature and applicability of this modern method in the Turkish Education system. The research involved work covered in the 5th grade Turkish Social Studies “Our Beautiful Country, Turkey” unit. It took approximately 45 school days and was done between the 17th February 2003 – 9th May 2003. 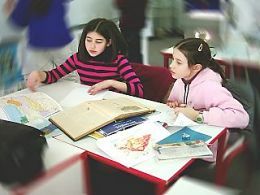 The project was completed in a preparatory school in Ankara which is connected to a private university. The students come from the higher social economic classes and/or they have a higher English language level. The total number of the students in each class is 18. At the school where the project took place, social studies classes occupy 7 periods in a week. The students used the school’s supplies and brought their own supplies when it was necessary. The storyline part of the project was inspired by the “Anadolu Views” book which was written by the first Turkish botanist Prof. Hikmet Birand (1904-1972). The project began with a typical introduction of a storyline. After establishing the characters and setting, the stucture of the project was completed. In this stage, Turkey’s different geographical and human characteristics were analyzed. Working in groups, the students then discussed, produced plans and then built a 3D model. 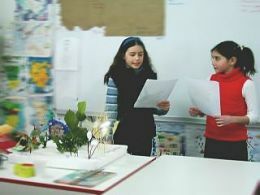 The research projects were displayed on the classroom walls, in the school corridors and at the annual art show. 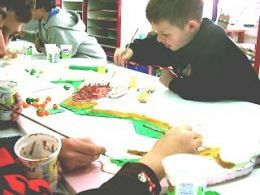 Groups: The students felt more relaxed. They had the chance to see their mistakes. The group work helped the students to gain different views about the same subject and the different ideas resulted in more creative work. The students who worked well in the groups helped their peers and supported them when they needed it. 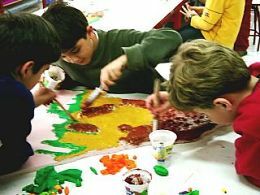 It was also noticed that the students who enjoyed the group work had some difficulties when they started to do more individual work. 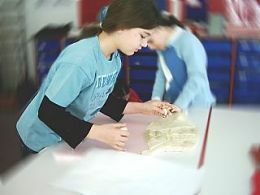 Research: It was seen during the project work that doing the research motivated the students. 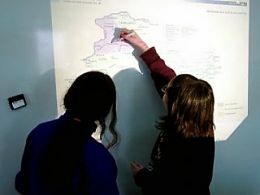 The students emphasized that they enjoyed doing the research during their class time. Some students even thought that they gained more knowledge by doing the research. However, some other students stressed that it took a long time to complete the research. Also, some of the students in this age group got bored. Models and Puppets: The feedback received from the students stated that they found it very enjoyable to use the knowledge they gained with the 3D models. They also stated that these models helped their learning. Another aspect of modeling is the motivation the students gained during their class time. Display: It was observed that displaying the students’ work gets them very excited. 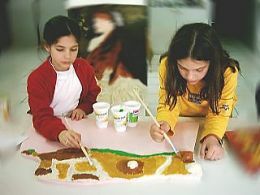 For this reason, it is especially important to finish the work which will be displayed for the parents. Other: The project which was completed during this period helped the students to interact better with each other. The cooperation in the classroom increased. As the groups knew the research questions, it enabled the students to answer each question at their own speed before moving on to the next one. Being able to do that supported their learning. It was observed that the extra equipment that was brought to the classroom increased motivation in the class. 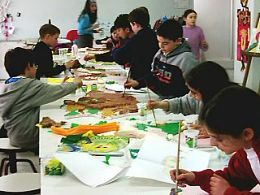 The students also stated strongly that using the portfolio assessment technique instead of exam assessment helped them to relax.